Right now I’m working on a post about today’s news, but until I post it, I think it’s crucial to honor the giants one more time — in this case, Howard Zinn. Check out Daniel Ellsberg, like Zinn a hero of my book, telling stories about getting arrested with Zinn in protest of the Vietnam war. That scene — a World War II vet and a formerly gung-ho ex-Marine -— kind of says it all. 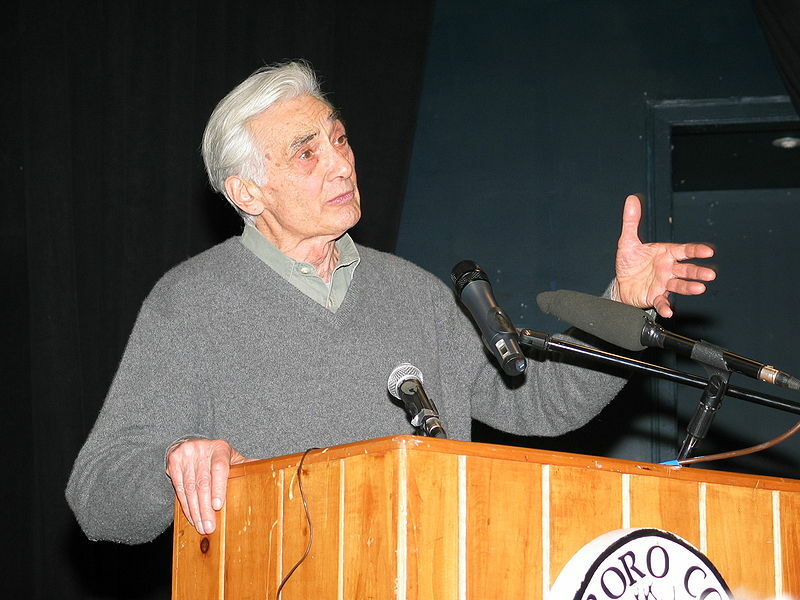 Meanwhile The Nation (by itself a fantastic partner to many dissenting soldiers for 100+ years) has a terrific “Remembering Howard Zinn” roundup, featuring Tom Hayden, Marian Wright Edelman, and many others. That one takes time, but what else are most of us doing to mourn him?